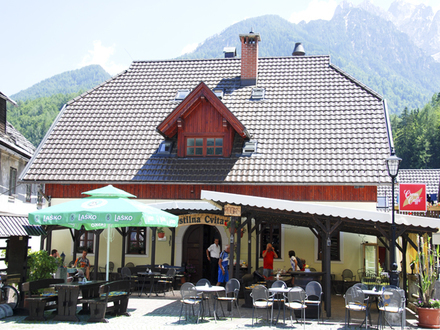 Rooms Cvitar Kranjska Gora are situated in the very centre of the village of Kranjska Gora next to the village church. Already its exterior appearance and even more the nice cosiness of ist interior will provide the real homelike sensation of a typical Upper Carniola lifestyle. Rooms Cvitar Kranjska Gora - you can choose among five bedrooms with fifteen beds and two medium appartments. Ski resort Kranjska Gora is 300 meters away.